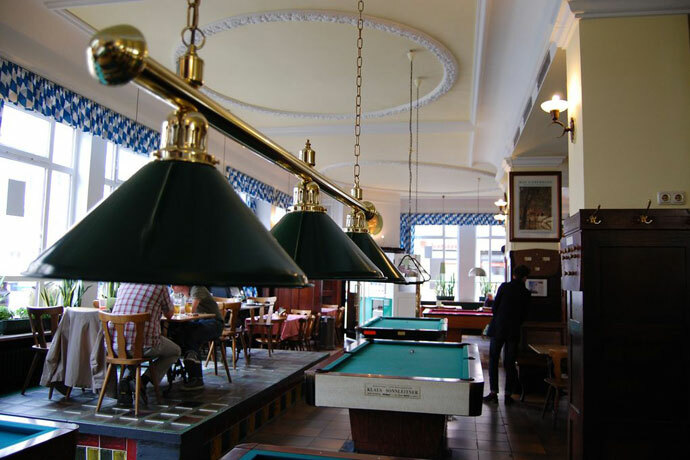 Munich has a number of great places that are very much the same as they have been for years, but perhaps none compares to the history and character of Schelling Salon, a historic Schwabing landmark. The smell of schnitzel and other Bavarian or Tyrolean dishes wafts through the room. The sound of conversations, some subdued, others lively, percolate from the assorted tables. Attentive waitresses move about the room, neither rushed nor harried. Newspapers and magazines of many types and titles hang in their wooden bindings, waiting patiently for their next perusal. Crack! A cue ball strikes a rack of striped and solid balls on a billiard table. This is the only thing that tells you that the year is 2013, and not 1913. But everything else seems untouched. In bygone days, the bearded man in the corner with only a few tufts of hair could have been Lenin. The guy with the tortoise-shell glasses, philosophizing on the state of things, might have been Bertolt Brecht. A table of artists on any given day might have had Marcel Duchamp or Wassily Kandinsky sipping a coffee. The list of luminaries who have visited this place is long. Schelling Salon, on the corner of Schelling Straße and Barer Straße, is the oldest Wiener Cafe (Viennese-style coffee house) in Munich. 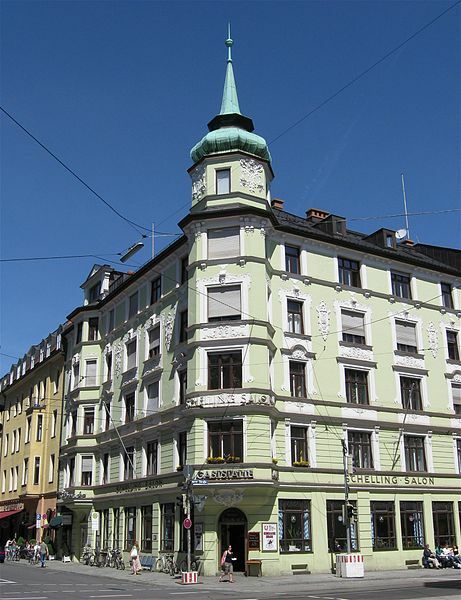 Opened in 1872 (there is a brass wash basin inside from that first year to attest to this date), the Schelling Salon has been a central meeting point in the old Schwabing Boheme area since then. Located where the old horse-drawn carriages ended their journey, it has been serving up reasonably priced food to students and struggling artists ever since, and continues to do so. The owner, Ms Evelin Mehr, is the great-granddaughter of the Schelling Salon’s founder, Silvester Mehr. She is always at her restaurant when it is open, and she continues to run the restaurant the way her father taught her. The Schelling Salon is an absolute can’t miss, if you want to have a sneak peek into the way it was – and still is. What the food may lack in Michelin stars is easily compensated for by the decor and atmosphere. You can purchase playing cards, bring your own chess set or just people-watch in this cafe that time seems to have forgotten. 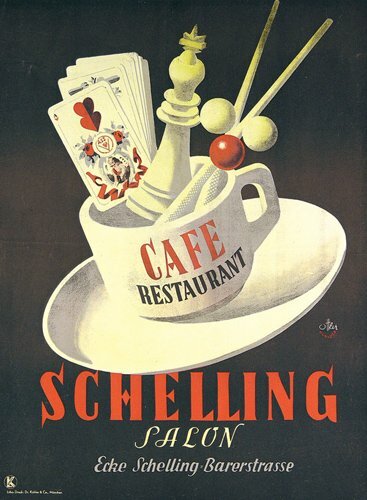 The Schelling Salon is open Thu-Mon from 10 am to 1 am. If your German is good enough, and the restaurant isn’t too busy (afternoons), perhaps Ms Mehr will give you a quick tour with some fascinating insight. We like the Tyrolean Gröstl (a sort of hash with sauerkraut all cooked in one pan).